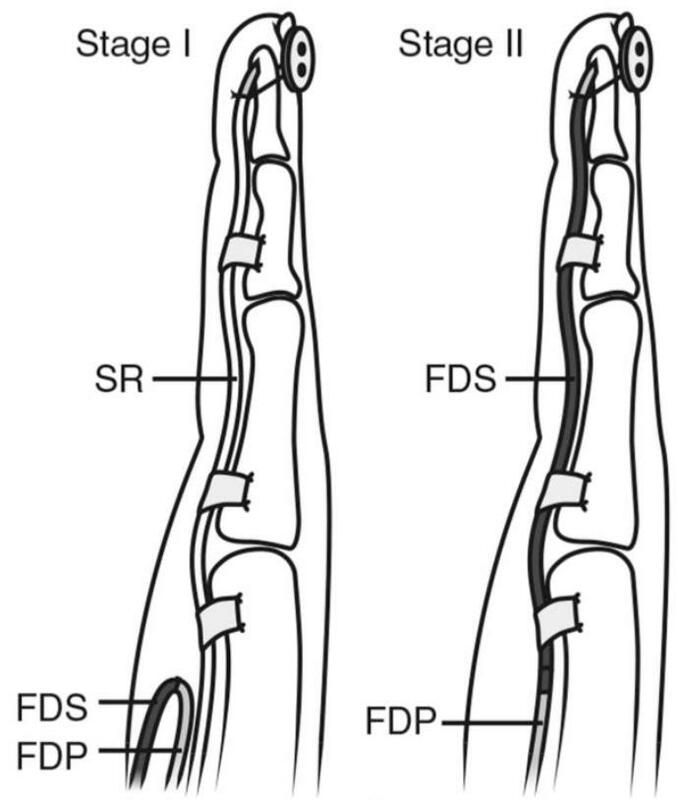 Zone is unique in that FDP and FDS in same tendon sheath (both can be injured within the flexor retinaculum). 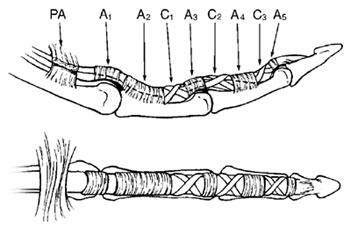 Tendons can retract if vincula are disrupted. Direct repair of both tendons followed by early ROM (Duran, Kleinert). 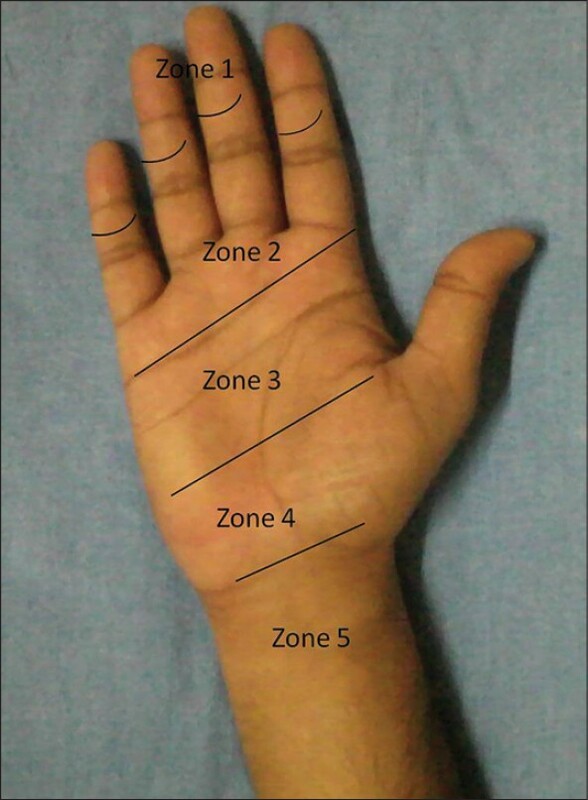 This zone historically had very poor results but results have improved due to advances in postoperative motion protocols. Often associated with neurovascular injury which carries a worse prognosis. 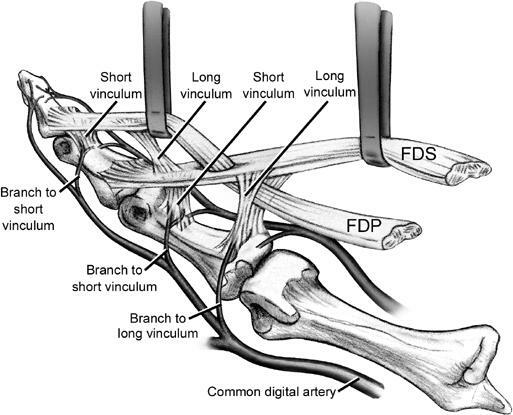 Direct tendon repair. Good results from direct repair can be expected due to absence of retinacular structures (if no neurovascular injury). 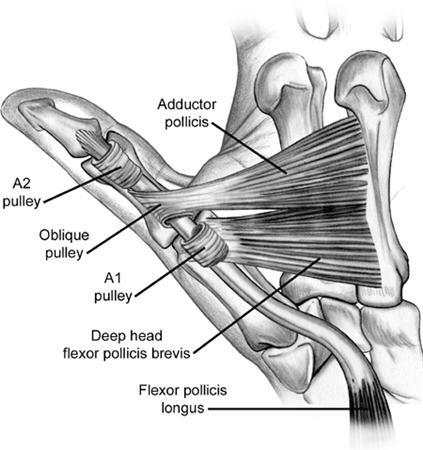 May require A1 pulley release to avoid impingement of the repaired tendon on the pulley. Often complicated by postoperative adhesions due to close quarters and synovial sheath of the carpal tunnel. 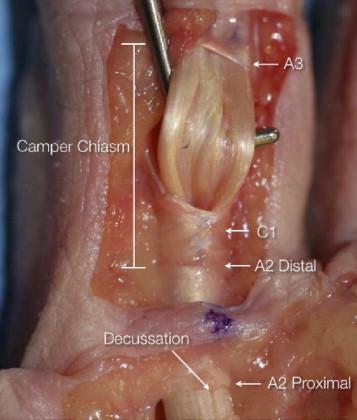 Direct tendon repair. 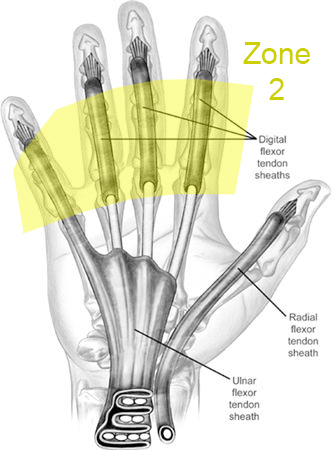 Transverse carpal ligament should be repaired in a lengthened fashion if tendon bowstringing is present. Outcomes different than fingers. Early motion protocols do not improve long-term results and there is a higher re-rupture rate than flexor tendon repair in fingers. Repair with core suture purchase 5mm from the cut edge. Circumferential simple running epitendinous suture. Repair with core suture purchase 10mm from the cut edge. Circumferential Silfverskiold epitendinous suture. Repair with core suture purchase 10mm from the cut edge. Circumferential simple running epitendinous suture. 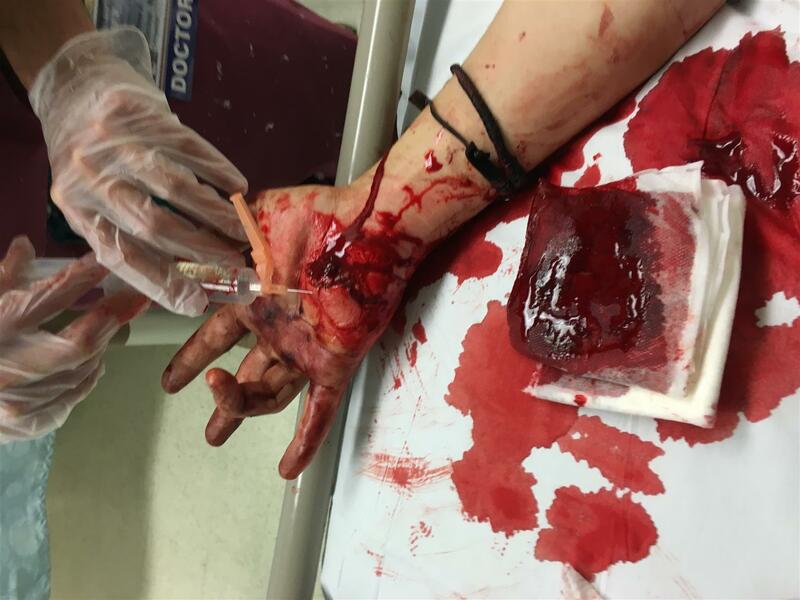 HPI - Dec 6th, 2015 - Deep laceration to palm of hand (zone III/IV). Ruptured all 8 flexor tendons (except for thumb), severed median and ulnar nerves. Dec 15th, 2015 - Six-hour long repair; nerve grafting. 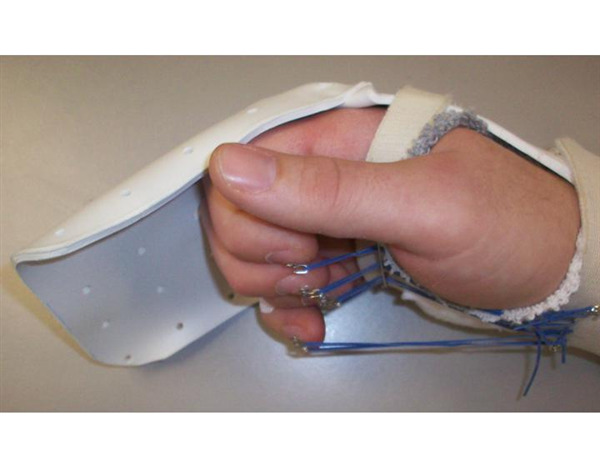 Immobilized post-op for one week, then transitioned to a splint + passive-active motion. January 5th, 2016 - Sutures removed, active motion allowed. February 18th, 2016 - Decent range of motion, a lot of scarring in the palm present. The middle finger is doing best, able to touch the palm. Very good range of motion at all DIP joints. (Please see the attached video). February 19th, 2016 - At 8 weeks and 2 days post-repair, sudden loss of middle finger tip flexion (DIP). Most likely re-rupture. The range of motion at PIP joint worsens as well. Previous best finger now becomes the worst with the least ROM. 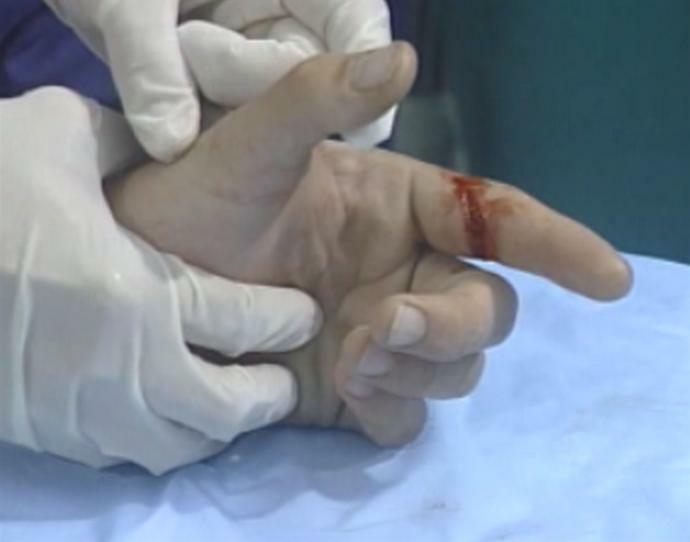 March 1st, 2016 - At about 10 weeks post-repair, able to bend the tip of middle finger if and only if the PIP joint is held down. (Again, video attached). Most likely it was possible all along, just haven't tried/put enough force into it. What is the possible cause of this new onset middle-finger DIP stiffness?